You will need a good working knowledge of React Native and Redux. The tutorial uses React Native 0.55. 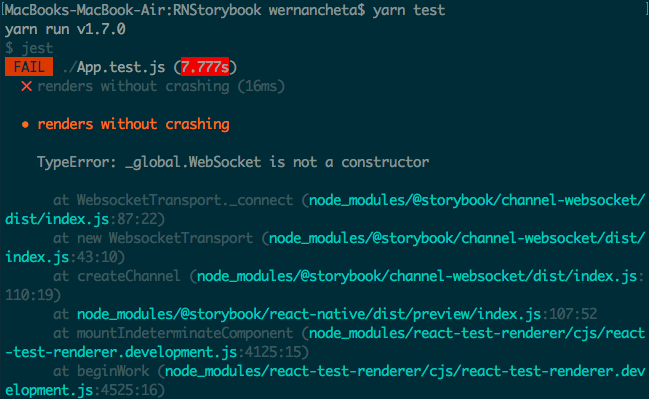 In this tutorial, we’re going to take a look at how you can use Storybook to speed up the development and testing of individual components for your React Native app. You can find the source code for this tutorial in its repo on GitHub. To follow this tutorial, you need to have good working knowledge of creating React Native apps. That usually means you already have developed a few apps without following a tutorial. We’ll also be using Redux so you should be familiar with basic Redux concepts as well. Your machine should also be set up with the React Native development environment. We will be using React Native version 0.55 in this tutorial and Yarn to install project dependencies. 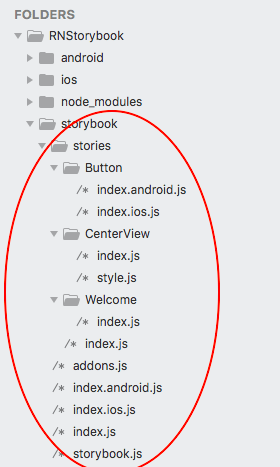 How Storybook fits into the React Native app development workflow? Visualize the different states of the individual components of your app. This is all inside an isolated environment, so you can tweak your components as much as you want without having to worry about breaking something. 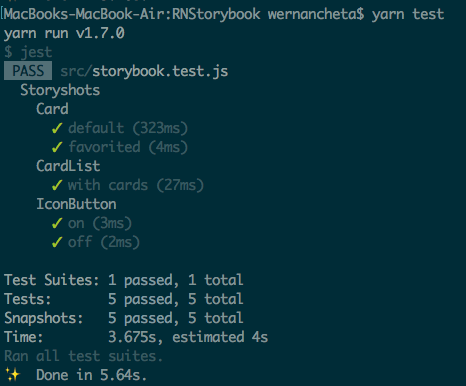 Storybook fits in nicely to your existing component development and testing workflow. It integrates well with testing tools such as Jest and Enzyme. This means you can easily perform snapshot and interaction tests on your components. The main idea of Storybook is for you to create “Stories”. These stories represent a specific state or behavior of an individual component. For example, there can be a story for the default state of a button, or a disabled button, or a button that’s currently active. A story can also be composed of tiny little components. For example, a Card component can be composed of a CardImage, CardText, and CardButton components. These stories can then be rendered within the same environment as a React Native app (either on a simulator or real device) so they can be tested. These stories also serve as a living and interactive style guide that documents how specific components should look and behave. 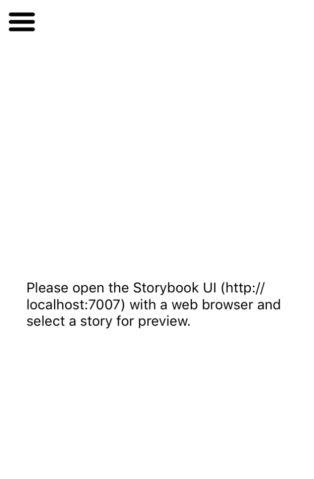 Now that you know what Storybook is, it’s time to set it up so we can use it within a React Native app. We need to do this because projects created with react-native init doesn’t work well with Storybook. At the time of writing this tutorial, the React Native version that was used is 0.55. You can try installing that version with react-native init. But in this tutorial, we’ll use CRNA to generate a new project, and then use the “eject” feature to convert it to a standard React Native project. If you’re coming here wanting to set up Storybook on an existing project, you’re welcome to follow along. But I can’t ensure that the setup we’ll be using here will work for you. You can skip right to the part where we install Storybook. 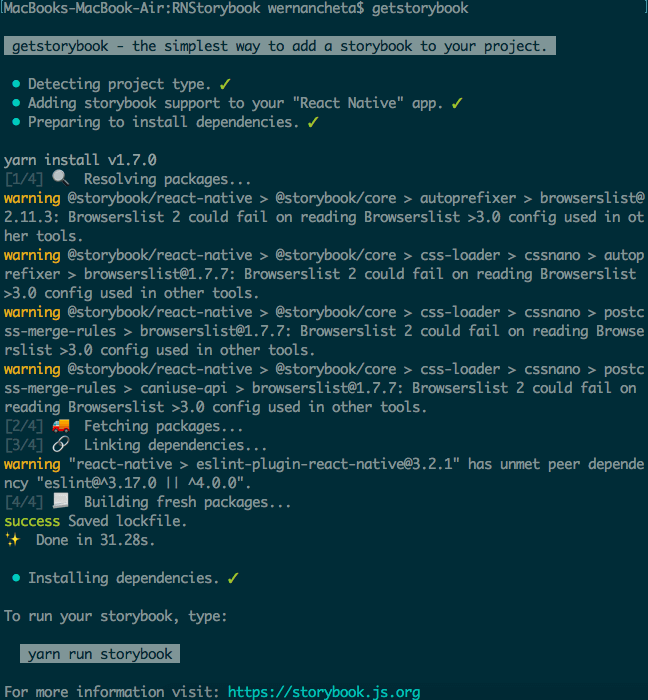 This allows you to add Storybook to a React Native project. If you’re having problems with the automatic linker, reset the changes made by the linker and follow the installation instructions here. 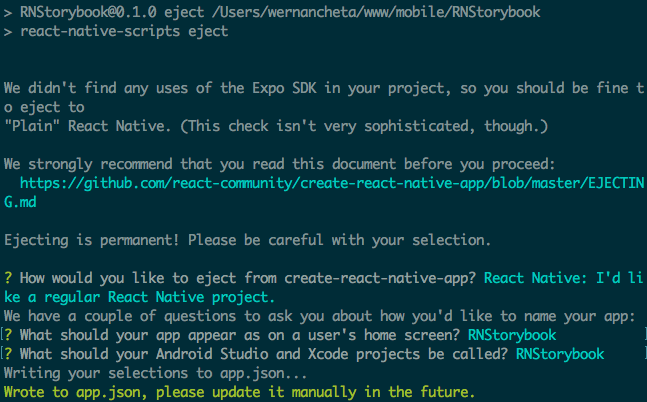 We won’t really be using any of these in this tutorial, except for the React Native add-on. But they’re installed by default when using the getstorybook command, so just explore them on your own. This folder contains the template for how the Storybook can be structured. Inside are a few stories and files for initializing Storybook within your app. We won’t really be using this structure because we want to be able to easily render the components in both Storybook and the app. This renders the Storybook UI instead of the UI of the app. In this tutorial, we will only focus on developing the UI components using Storybook. 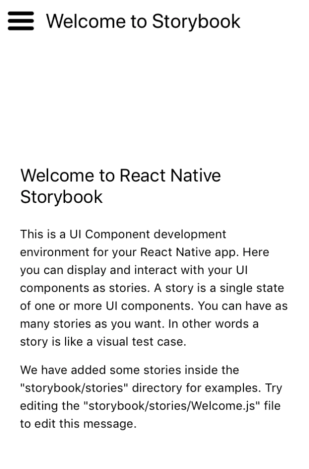 We won’t actually be bringing everything together inside a standard React Native app, that’s why we’ve replaced it with the Storybook UI. Then in your App.js file, you can read the value of that variable to determine which UI to use. I won’t really be delving on that in this tutorial so feel free to explore it on your own. If you click on the burger menu, you should see the individual stories that are inside the storybook folder. As mentioned earlier, we won’t really be using the default structure for the stories. Instead, the story files will live inside the src/stories folder. This way, the stories can easily access the components (src/components) they need to render. These folders shouldn’t exist on your working copy yet. Create a src folder at the root of your project directory, then create the stories and components folder inside of it. The storyLoader.js file is the one that’s going to automatically load the stories that are currently available inside the searchDir you defined. In this case, we have to put the components inside the src/components and their stories inside the src/stories folder. This file calls the story loader so the stories will be included in the Storybook UI. Remember to terminate the currently running process of Storybook and re-run yarn storybook every time you add a new story. 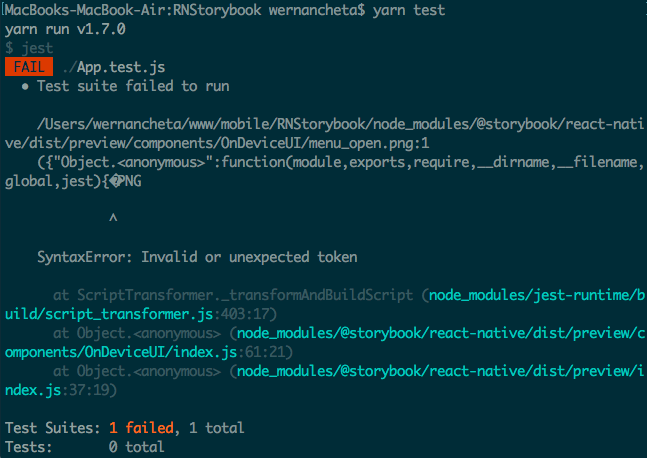 This is because React Native Storyloader only re-generates the storyLoader.js file when you execute the yarn storybook command. To develop the UI components of the app, we will be using Component-Driven Development. It’s a development methodology wherein the focus is on the individual components of the app. The main idea is to build the UI starting from the tiniest of components, then you incrementally build up to the screens by using those tiny components. In short, it’s a “bottom-up” approach in developing the UI of the app. Since you already have experience in developing React Native apps, I assume that you already have a clear idea on what components to build. But let’s try to follow the Component-Driven Development methodology and build the tinier components first before the bigger ones. 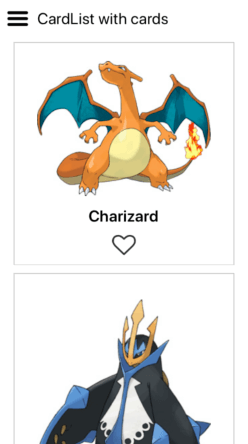 Before we proceed, please download the Pokemon images from the repo. If you’ve cloned the repo earlier, you can simply copy the src/images directory over to your src folder. While you’re at it, you can also create a components folder beside the images folder. This is where we will put the components. The second argument in the storiesOf function above serves as Storybook’s reference to the file where the story code is. This enables the hot-module replacement feature. It’s only needed in a browser environment because React Native already reloads the entire app if you have live-reloading enabled. The only reason why we’re including it is that Jest needs this reference for the snapshot tests to work. When rendering the tiny components, we don’t really care yet about testing their functionality. That’s why we only log the action we’re expecting. 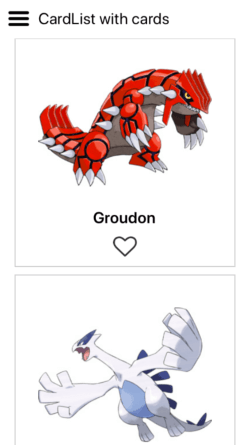 If the button is in the default state (meaning, it hasn’t been favorited yet), we expect the action to be “favorited” while the other one is just the opposite. A couple of things to remember when creating stories is that there should be only one story file for each component. And each story file should only be rendering that component alone. The other thing is that you don’t have to add a story for every possible state of the component, only the ones that makes sense. For example, if you’re in the React Native environment, and you’re creating a story for a component that makes use of TouchableOpacity. In this case, you don’t really have to add a story for “clicked” or “tapped”, because it all looks the same anyway. The default opacity value used by React Native already makes sense, so most of the time you don’t really want to change it. From the code above, you can see that we’re bringing in a smaller component. This is what Component-Driven Development is all about. Create the smaller components first and then you assemble them to create a larger component. From the code above, you can see that we’re pretty much doing the same thing we did in the story for the IconButton component. Only this time, we’re passing the prop which determines what the IconButton’s state will be to the Card component. In Storybook, we use a decorator to specify a common wrapper for all the stories that we create for a specific component. In this case, we simply want to wrap all the stories in a View that’s aligned at the center of the screen. The getStory method is used for rendering the story within the wrapper. If you’re using Redux, decorator’s are a good place to put your providers. As you can see, this component brings together all the components we’ve built so far. This also means that we already need to add real functionality to it. That is to favorite and un-favorite each card. In this component, we will be using Redux to add a global state to the app. 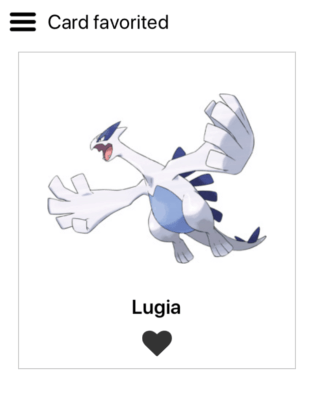 This allows us to favorite or un-favorite cards. As you can see from the code above, all this file does is wrap the CardList within the Provider provided by react-redux. Once that’s done, the components that you’ve created can now be used within the app. The stories you created should serve as a living document. Other developers can examine and test it whenever they’re unsure of how a specific component should behave and look like. The jest-static-stubs package allows us to stub the static assets so that they work with Jest. If you don’t know what a stub is, it’s used in testing to simulate a specific functionality. In this case, jest-static-stubs simulates the functionality for requiring images. 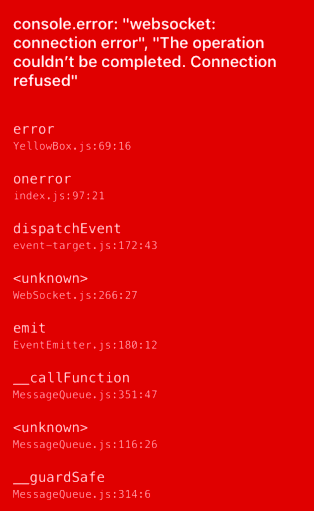 This is one caveat when using Jest. Because when we render the component inside the app, the type of variable we pass into the Card component is certainly a number. On the other hand, when running the test with Jest, statements like require("./src/images/something.jpg") return an object instead. So what’s the solution? Well, looks like the solution is to use the RelativeImageStub library which React Native already provides for mocking the require image statements so that Flow can use it. If you’re interested in looking at the code, it’s at node_modules/react-native/Libraries/Image/RelativeImageStub.js. 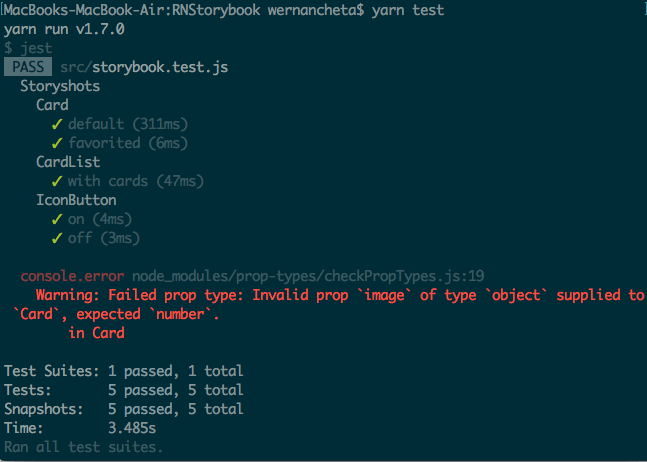 Every time you update your components or stories, you should run yarn test -u instead. This will update the currently stored snapshot. Running yarn test will compare the old snapshot with the new one, and it will fail if there’s something different. After that, commit the changes to your repo to document the change. That’s it! In this tutorial, you’ve learned how to use Storybook for fast prototyping of components for your React Native app. You’ve also learned how to use Jest and StoryShots to implement snapshot testing for the individual stories created using Storybook.